Happy New Year! 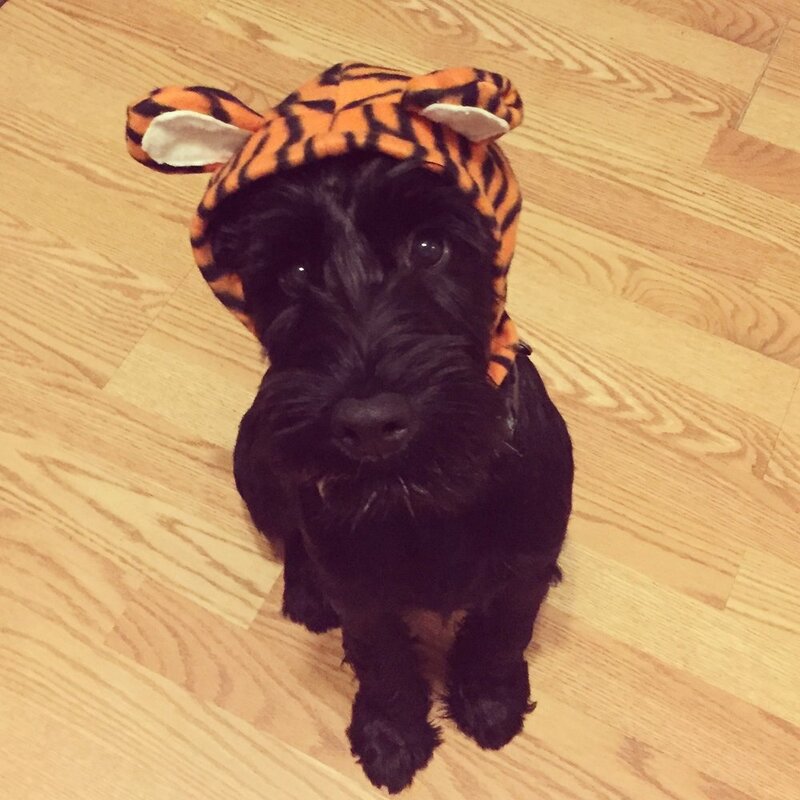 My name is Cusco, I am a 6 month-old Standard Schnauzer and I am so excited to be the first Pet of the Month for 2017! My Mom is confused how I earned this, but I know it’s because my best friend Vanessa knows what a good boy I am. She has taken care of me since I was a baby, and I love when she comes over to play with me. I was born in Michigan but I have lived in Chicago my whole life, which, so far has been pretty great. I live with my Mommy, she is a surgeon, and she takes good care of me. She tells me my big brother got sick and passed away last year, which is how I got to be the lucky puppy that now she loves so much! I am named Cusco after an ancient city in Peru where my Mom used to live, it sounds far away but pretty cool, I hope I get to go there some day. I have been practicing my Español. The best part about being a puppy is that I am really handsome, everybody tells me so. I like it because it means I get lots of attention from strangers, but mostly it means I can get away with whatever I want. My favorite things to do are unroll those little white things in the bathroom (but I unroll them in the living room), steal socks (I prefer the dirty ones, but I’m not picky), lick all of the dirty dishes in the dishwasher (yum), and drink out of the cherished pee bowl. My favorite place to visit is my Aunt Jenny’s because she leaves the seat up on purpose, just for me. My best friend is Deke, he is a really big dog who lives upstairs. We wrestle all the time, he thinks he is big and strong because he always wins, but he doesn’t know I am still growing... I also love to go to the park where I play with Bowie, Henry, and all of my other dog friends. Even though my nickname is Wild Man, I am actually a sweet boy deep down. I love to learn new things and I try to listen to my Mom, although she is always asking for something so sometimes I just ignore her. I am also really glad she found Urban Tailz, because without them my days would be really boring. What Mom doesn’t know is that my favorite part of the day is when I hear her keys in the door, I make sure to give her lots of kisses so she knows I love her.